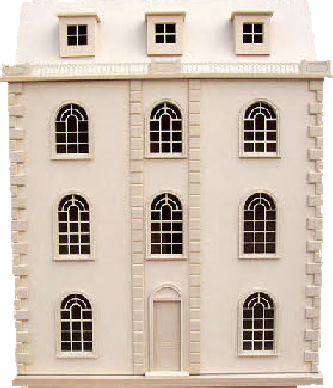 Ashburton House is one of our most popular dolls houses. With nine large rooms and three dormer bedrooms. Given a facelift in 2014 with new quoining detail. Windows have been machined using 3 mm thick Medite. The windows slot into place from the inside of the house to a depth of 5 mm, thus allowing you to use your own 2 mm glass. Ashthorne House has been designed with the aid of the latest computer controlled CNC technology ensuring all components fit exactly into place, therefore no alterations can be made from the original design when order is placed. 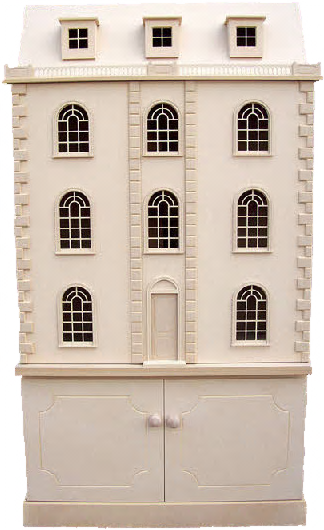 Please note: for ease of decoration, the windows, dormers, doors, internal/external moulding's, railings, etc, are not glued into place.